Friday, Feb. 8th at 2 PM & 7 PM. – Presenting Repurpose & Second Hand treasures. 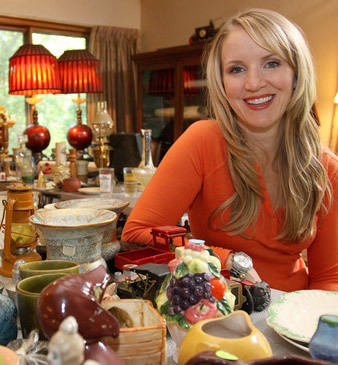 Inheriting her mother’s passion for antiques and collectibles, Cari Cucksey, host of HGTV’s Cash & Cari, began buying, selling and trading when she was only 12 years old. Today, with more than 10 years of experience as a professional estate liquidator, she is still on the lookout for hidden treasure as she travels far and wide in search of anything she can flip and restore. Sunday, Feb. 10th at 2 PM. 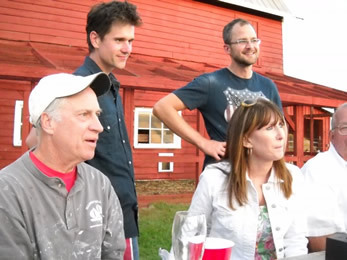 When Josh Kilmer-Purcell and Dr. Brent Ridge bought the Beekman Farm in upstate New York in 2008, they didn’t just start a farm, they started a movement. A mere five years later they already have a hit TV show, bestselling books, product lines in leading retailers, a massive social following, and a James Beard nominated lifestyle website. They’ve been featured in most major media outlets, including The New York Times, USA Today, Vanity Fair, The Martha Stewart Show, Rolling Stone, Dr. Oz, Vogue, The Rosie O’Donnell Show, O Magazine, and more. More about the Fabulous Beekman Boys: Josh Kilmer-Purcell is a New York Times bestselling author of three books, and has been an award-winning Creative Director at several major advertising agencies. His first memoir, I Am Not Myself These Days, has been optioned for series development by Bravo television network. Kilmer-Purcell is a contributor to NPR. Dr. Brent Ridge was a geriatrician at Mt Sinai Hospital, and later became the Vice President of Health and Wellness at Martha Stewart Omnimedia, making regular appearances on The Martha Stewart Show. Dr. Ridge also writes for Huffington Post. Known best as “The Fabulous Beekman Boys” from their hit television reality show, the duo has put their stylish stamp on seasonal living. Their farm and surrounding community serves as the inspiration for their lifestyle brand, “Beekman 1802.” The brand’s signature beauty, home & food products can be found on the shelves of Henri Bendel, Anthropologie, Williams-Sonoma and other national retail partners. 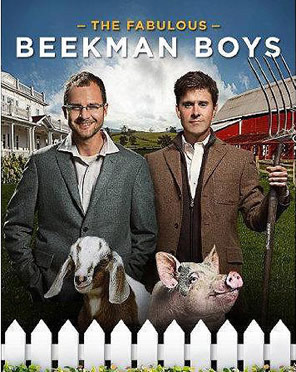 The Beekman 1802 cookbook was launched on QVC to record sales, and the memoir of their farm life, The Bucolic Plague, was a national best seller. The 2011 launch of their Beekman 1802 Blaak Cheese resulted in a wait-list of over 7500 people. Performance artist and speed painter, Rock Demarco, kick started his career as a small child by plastering graffiti on his parent’s walls with crayon. Never a fan of mild mannered art, Rock instead takes his audience on a wild ride of imagination by challenging them to look at the world through a different window. 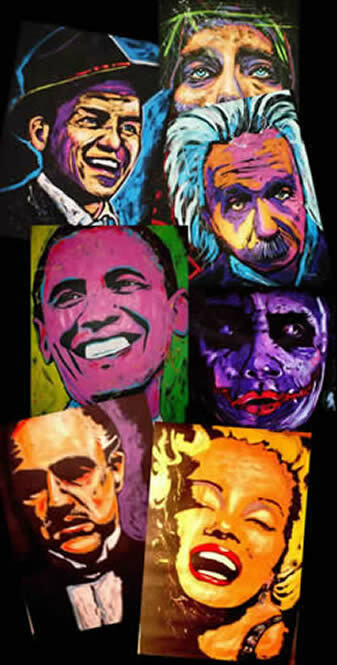 Over the past 10 years Rock Demarco has performed thousands of his signature rock n roll live painting shows around the globe. He has appeared with countless celebrities that are featured at his ON TOUR page. 2 million dollars ! That’s the amount of money raised for charity by the sale of Rock’s art at auction with a single piece topping $105,000 ! Rock’s work can be found on display in many corporate headquarters, airport installations, and private collections of professional ball players, musicians and movie stars. Rock has performed for live audiences as large as 200,000 fans. Along with Superbowl and other half-time shows Rock has been featured on all major TV networks (FOX, CBS, ABS, CMT, TNT) and appeared live on Good Morning America where he painted a portrait of Diane Sawyer – Click here to watch. Rock’s TV show Paint like a ROCKstar is now in production with a 2013 release date. Help Tom & Nancy Osborne Teammates Mentoring Program by purchasing Raffle tickets for a one of a Kind Rock DeMarco Painting of Tom Osborne done right at the Show! ………….. Click here or on the Photo to Pick!